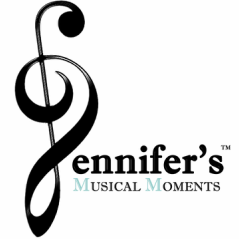 Listed below are examples of the instruction, skills and knowledge students receive and develop here at Jennifer's Musical Moments! -Individualized instruction tailored to the needs and wants of my students. I have a fun and inviting approach which helps me to ensure an optimal learning environment for my students. Students also receive these extras! -Performance opportunities including yearly recitals and community service events. -JMM also belongs to the Piano Teachers Society of America which offers piano auditions and competitions to students. Partaking in these events are optional and they require an additional fee. Intrigued? I hope so! Please click below to contact me!